If you are a victim of a Large Commercial Truck Accident in Atlanta, you are not alone. Big Rig Trucking Accidents are becoming more common throughout Georgia and can cause serious injury or death to the victims involved, if you or someone else you know was involved in a semi truck accident, our Truck Accident Lawyers can help. Many truck accident survivors are left feeling angry, lost, or alone following an accident. Our Tractor Trailer Injury Attorney's are patient in dealing with the sensitivities of our clients after experiencing such significant emotional turmoil and debilitating physical injuries. We make our client's injuries our responsibility by assisting you 24/7, helping you thoroughly understand your case, and recovering all of the financial compensation you are entitled to so that you can move past your accident and resume living a normal life. Although there are variant laws in Georgia controlling commercial truck operation, many truck companies and drivers fail to abide by these laws resulting in significant traffic violations that can cost other innocent drivers, bicyclists, and pedestrians their lives. Our Atlanta Truck Accident Attorneys are experienced in finding the negligent actions of truck drivers and their employers that caused your horrible injuries, we have been successfully defending victims of commercial vehicle incidents for decades, and work hard to secure the damages you deserve for your pain and suffering. Don't let the negligent actions of someone else decide your future, Contact an Atlanta, Georgia Truck Accident Lawyer, today! 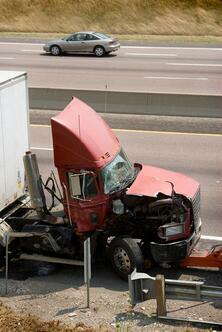 There are many ways to fall victim to a Truck Accident in Atlanta, GA. However, when a crash occurs due to someone else's negligence, the consequences can be devastating. If you were hit by a negligent truck driver, you may have the legal right to press charges in order to obtain the compensation you deserve for your injuries. Successfully pursuing a truck accident lawsuit requires an in-depth understanding of state and federal trucking regulations. When a trucking company or driver was negligent in causing your injuries, they may attempt to falsify records to protect themselves. Our Atlanta truck accident lawyers can determine when this happens and hold the driver of trucking company accountable. 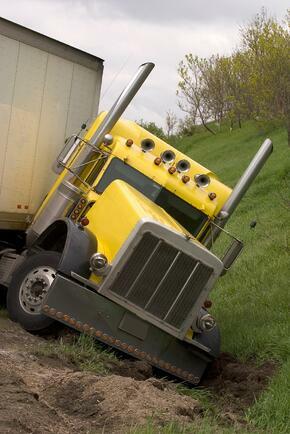 Proving liability in trucking accidents can be complicated. It is possible to hold multiple parties responsible for your injuries, including the truck driver, trucking company, parts manufacturer, or a third party that contributed to the cause of your accident. Our lawyers have the experience and skills to identify all liable parties, and aggressively make them pay for your injuries. Victims of Atlanta, Georgia Truck Accidents need aggressive legal representation from an experienced Personal Injury Attorney. Only an experienced truck accident attorney knows how to find, collect, interpret, and present the evidence that you must have to prove your case. It is imperative to hire an attorney who is knowledgeable about the state laws and regulations that govern the trucking industry. 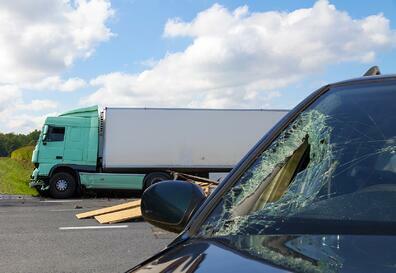 Personal Injury cases that involve semi trucks are significantly more complex than a motor vehicle collision. There are also differences and additional laws when dealing with Truck Accidents. We have a team of highly experienced Attorneys who can handle your Truck Accident Injury Claim. If you have fallen victim to a Commercial Truck Accident in Atlanta, Georgia due to the negligent driving of someone else, do not hesitate to call our Truck Accident Injury Attorneys for a Free Case Review.